Below are the Top 5 items from August 2017. Since winning one of the three $500 million Upstate Revitalization Initiative (URI) awards in 2015, the Southern Tier has been working on many transformative projects. One of the main components of the Southern Tier proposal was to create three Innovation Districts, or iDistricts, in our urban centers to focus on advanced manufacturing, healthcare, and high-technology. A $20 million fund was also included as part of our winning proposal to support these projects. On August 2nd, I joined the Governor and some of my fellow elected officials to announce the creation of a Greater Binghamton Fund for Binghamton, Johnson City, & Endicott. As described by the Governor’s office, the Fund will be used for mixed-use and mixed-income developments, private retail and commercial development. Smart growth technologies will also be implemented through infrastructure and streetscape improvements. 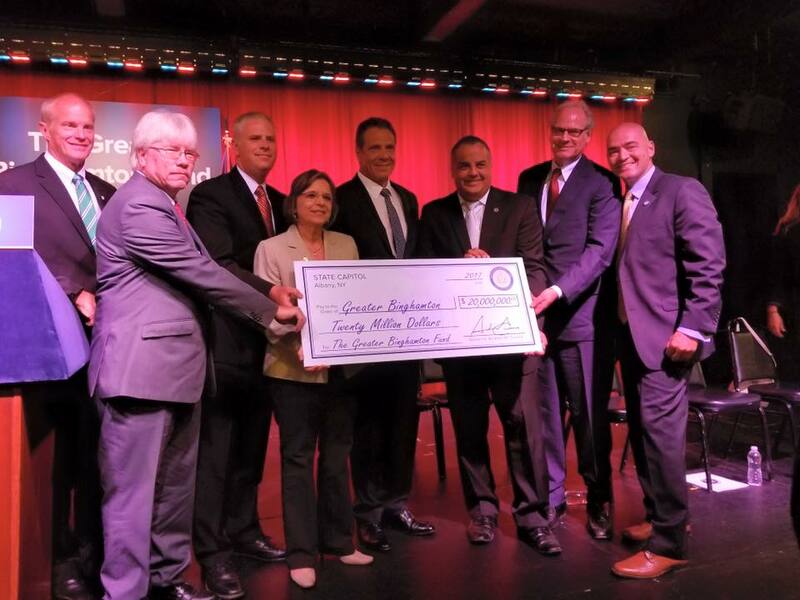 Assemblywoman Lupardo joins Southern Tier REDC Co-Chair Harvey Stenger, Johnson City Mayor Greg Deemie, County Executive Jason Garnar, Governor Cuomo, Binghamton Mayor Rich David, Empire State Development President Howard Zemsky, and Senator Fred Akshar to announce the Greater Binghamton Fund. Since the closure of the Broome Developmental Center earlier this year, there has been an effort to see how to best utilize this facility. With the opioid epidemic continuing to grow across the region, one option was to use one of the buildings as a specialized treatment facility with detox beds and longer inpatient treatment. On August 3rd, I joined County Executive Jason Garnar, Senator Fred Akshar, County Legislators Mary Kaminsky and Mark Whalen, former Legislator Kim Myers, & Town of Dickinson Supervisor Mike Marinaccio as the County announced a Request for Proposals to bring these services to BDC. New York State’s Office of Alcoholism and Substance Abuse Services (OASAS) has made this project a priority so that we can begin to provide help as soon as possible. We are all committed as a team to ensuring that needed services are available; services that will complement those already in place in our community. 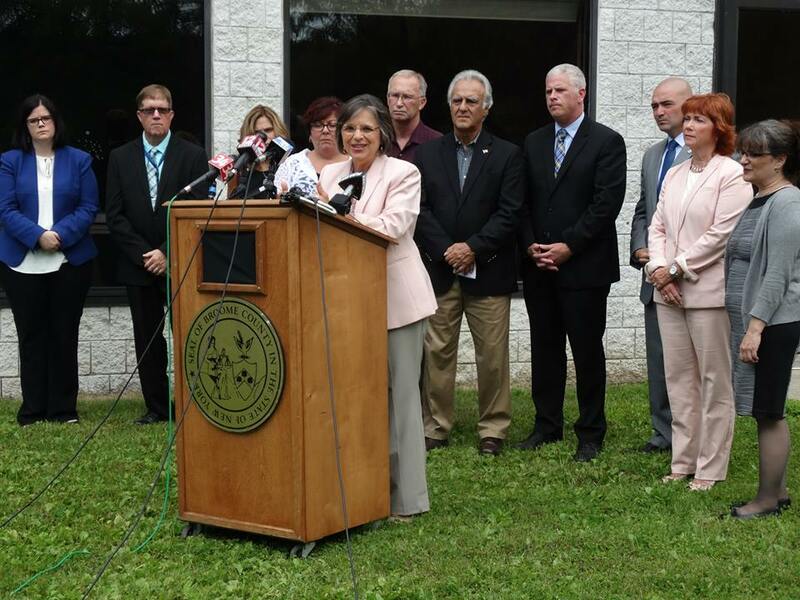 Assemblywoman Lupardo speaks at an announcement about the future of Broome Developmental Center. Radon exposure is the second-leading cause of lung cancer deaths in the United States, and the leading cause of lung cancer deaths for non-smokers. New York has some of the highest radon levels in the nation, yet many homeowners do not test for this dangerous, naturally occurring gas. I recently introduced a bill that would help protect residents by establishing licensing procedures for radon service professionals. There are many individuals who are providing radon professionals services, such as testing and mitigation, but they are not required to be certified or licensed. As the dangers of radon become more well-known, it is important for New York State to take proactive steps to protect consumers. Licensing of individuals will ensure consumers are working with qualified individuals providing these services. Click here to read more about the dangers of radon in New York. As you know, another major economic development initiative I’ve been working on is the growth of the industrial hemp industry throughout NYS. This crop has the potential to assist farmers looking to expand their businesses, but also includes a variety of manufacturing and processing opportunities as well. Next year, private farms will be able to obtain growing licenses directly from the state. Currently, New York’s Industrial Hemp Program allows colleges and universities to grow and study hemp in order to help farmers and manufacturers develop the industry. On August 1st, I attended Cornell University’s first Industrial Hemp Field Day where I learned about the many varieties of hemp they are growing and the team of 11 researchers from across the campus who are involved. They also have 29 plots statewide examining various growing conditions. You can follow the Cornell Industrial Hemp Project on Facebook to see their progress. 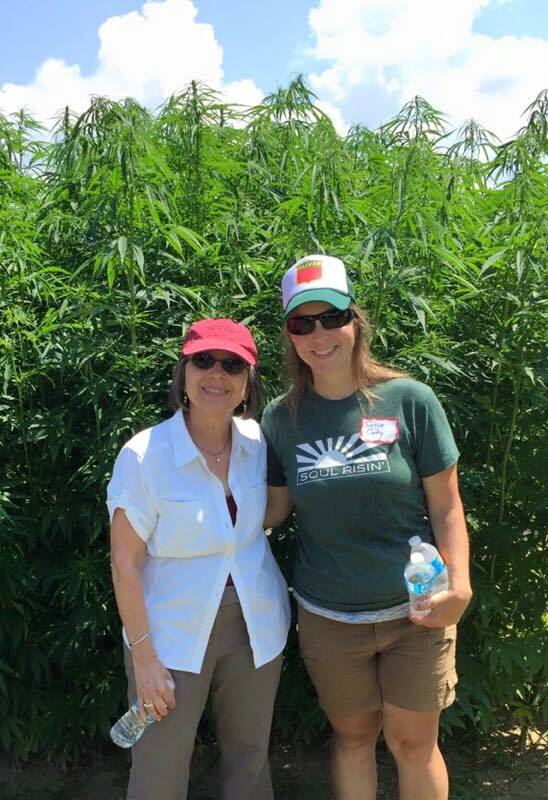 Assemblywoman Lupardo with Susie Cody of New York Hemp Industries Association. Since being named Chair of the Assembly Committee on Aging in January, I’ve been working to help seniors receive the services they need, but also encourage them to “age in style.” Older New Yorkers are staying more active and involved in their communities than ever before, so creating new ways for them to give back while also having fun is important. On August 24th I joined Action for Older Persons in hosting the inaugural Lip Sync Challenge, where local seniors dressed as their favorite artists and mouthed the words to their favorite songs. AOP’s advocacy, individualized counseling, and unbiased information help older adults and their families make informed decisions. With the group’s busiest time of year, open enrollment for Medicare, approaching, the money raised will help them provide important guidance to the thousands of residents AOP serves. Click here to see more from this year’s Lip Sync Challenge, an event that AOP plans to host annually. For more information about AOP visit their website or call their office at 607-722-1251. 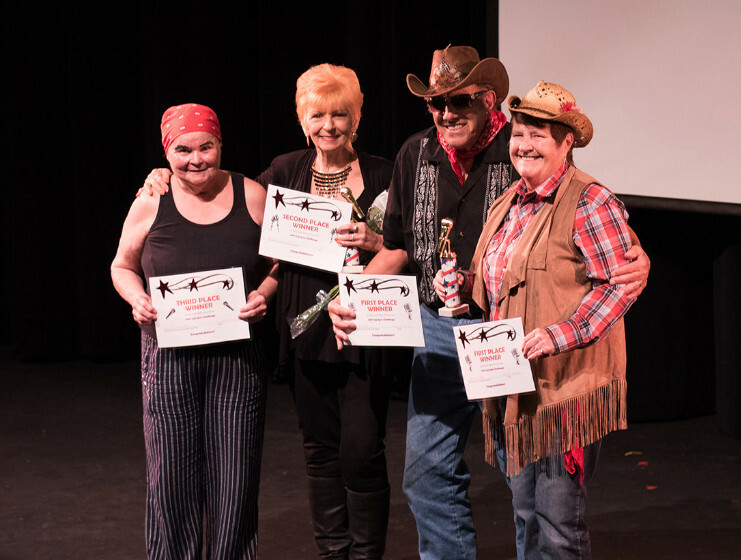 The winners of the inaugural Lip Sync Challenge, from l to r, Pat Grant (third place, Peg Van Fleet (second place), and Robert Oppici and Jane Page (first place).